Big-batch recipes, big-hearted chefs, and the foods we gather around. When we feed people, we also feed ourselves—literally and spiritually. Sharing a meal is one of life’s greatest pleasures and a powerful and intimate way to create community. Feed Your People offers big-batch recipes from big-hearted chefs and cooks for the foods we gather around. Starting with an introduction to big-batch cooking, this book features dishes by Alice Waters, Bryant Terry, Gonzalo Guzman, Joyce Goldstein, Tanya Holland, Dennis Lee, Preeti Mistry, and other generous cooks who know how to feed a crowd. You will find ideas and practical information for creating dumpling dinners, vegetarian suppers, meatball fund-raisers, soup swaps, chili cook-offs, seafood boils, backyard barbecues, ice cream socials, and so much more. Most recipes are scaled to feed groups of approximately 10 or 20 people with make-ahead strategies, equipment information, and serving suggestions for rounding out the meal. From simple comfort foods to show-stopping recipes, you’ll discover centerpiece dishes that feature global flavors, like tamales, rustic minestrone soup, Gujarati-inspired chili, big-pan paella, homemade gnocchi, Korean bo ssäm, fork-tender carnitas, seafood boils, Provençal-style grand aioli with roasted salmon, a chocolatey Texas sheet cake, slab pies, trifles, and other foods that will help you celebrate life’s many special occasions. 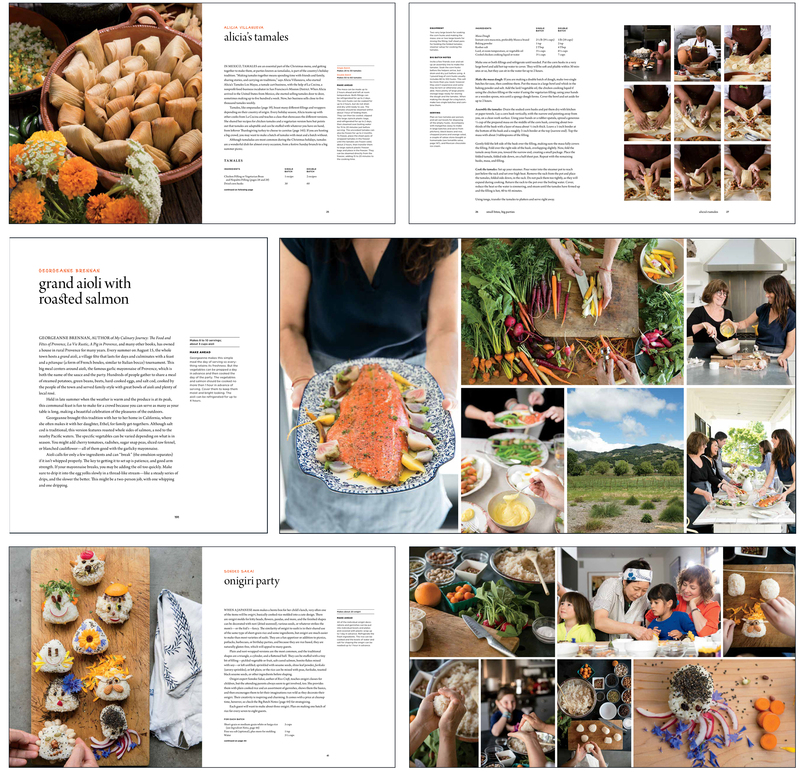 Gorgeously illustrated with vivid color photography and filled with tips and cooking wisdom, we hope this book will inspire you to gather your friends, family, and community around the table. Gorgeously illustrated with vivid color photo- graphy and lled with tips and cooking wis- dom, we hope this book will inspire you to gather your friends, family, and community around the table. Leslie Jonath is a book packager specializing in cookbooks. Before launching Connected Dots media, she was a creative director at Chronicle Books where she produced many successful titles leveraging partnerships with high-profile causes and foundations, including The Pleasures of Slow Food by Corby Kummer; From Our House to Yours: Comfort Food to Share with Meals on Wheels of San Francisco; and The Edible Schoolyard with renowned chef and restaurateur Alice Waters. Her most recent titles include the Miette Bakery Cookbook (over 150,000 sold to date), The Flower Workshop, Give Yourself a Gold Star, The Model Bakery Cookbook, The Amazing (mostly) Edible Science Cookbook, and The Little Pleasures of Paris. She lives in San Francisco. Molly De Coudreaux is a San Francisco-based photographer who thrives on telling stories about food and culture. She works collaboratively to capture the essence of each moment through nuance and gesture. Her clients include Stumptown Coffee Roasters, Dandelion Chocolate, Scribe Winery, and Al’s Place, and she is currently working on a book project with Bernal Cutlery. 18 Reasons strives to “empower the community with confidence and creativity to buy, cook, and eat good food each day,” which they do through classes and community dinners. Passionate, committed teachers include farmers, winemakers, ranchers, crafters, and cooks who share their stories, skills, and knowledge on everything from knife skills to world cooking. As well, people can share a community dinner with friends, taste home­-cooked meals from around the world, and forge new friendships through food. Beyond its classroom walls, 18 Reasons offers Cooking Matters classes in low-income communities on how to make quick, healthy, affordable, and delicious meals. Professional chefs and nutritionists volunteer their time for the Cooking Matters program, which reaches over 2,000 adults and kids every year. High-res scans to your specification are available upon request; scanning from the book or lifting images from the mechanical file are strictly prohibited. 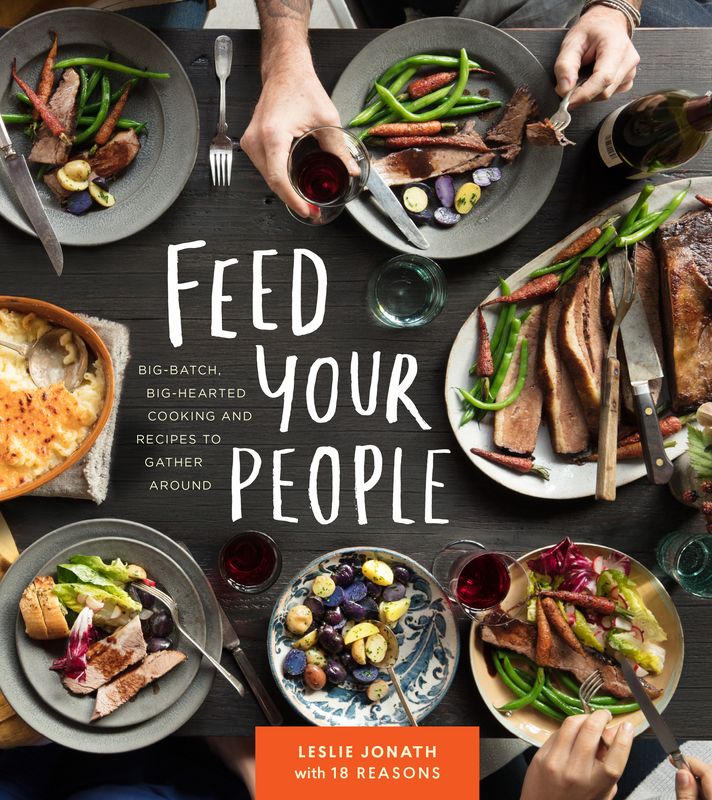 Mandatory credit line: From Feed Your People by Leslie Jonath and 18 Reasons with photography by Molly De Coudreaux, published by powerHouse Books.